For most iPhone users, iTunes restore is always their best choice when iPhone slows down, app crashing, gets stuck after update or jailbreak and other software problems. Indeed, iTunes helps to back up device before restoring to factory settings or from previous backup, which makes it much convenient for people. However, some users have also encountered iTunes could not restore iPhone, iPad or Pod because backup was corrupt, backup session failed, backup locked with a password or not enough storage. Here we are going to list all these iTunes restoring issues and fixes to help users perform a successful restore. Many people have reported that iTunes pops up an error message saying that "iTunes could not restore the iPhone because the backup was corrupt or not compatible the iPhone that is being restored". This is usually due to different iOS versions or some errors when creating backup with iTunes. Forgot iTunes backup password can be annoying when restoring from iTunes. You'll get a notice asking to enter your password before you can restore the backup file. iTunes could not restore backup to your iPhone if there is not encough storage space on your device. Go to Settings > General > Usage > See how much available space on your iDevice. If the storage on iPhone is almost full, you need to clean up iPhone space and then connect to iTunes again. Here we sum up 9 solution to help you fix the issue of "iTunes could not restore iPhone because an error occurred. Disconnect your iOS devices from computer, restart computer and your device. After rebooting, connect iDevice to computer and run iTunes again. If you have connected flash drives or hard disks while restoring form iTunes, you should disconnect all such devices except iOS device, mouse and keyboard. Sometimes, iTunes in Windows doesn't respond or the back-up never completes; in this situation, you should update, configure, disable, or uninstall security software on Windows PC. Sometimes a lower version iTunes may fail to restore iPhone, iPad and iPod. 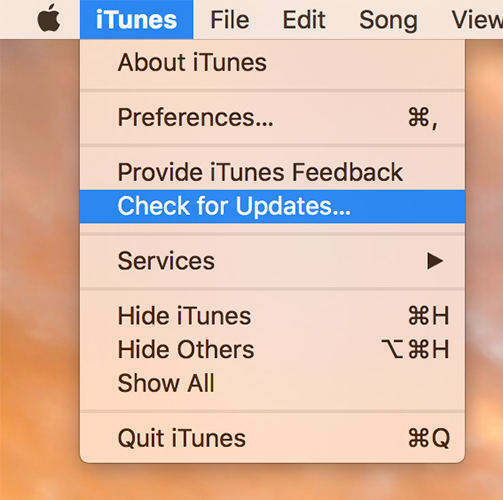 Follow the steps to update iTunes with ease. Run iTunes; Click Check for Update > Follow the prompts to install the latest version of iTunes. This is also a possible solution when "not enough storage" appears during restore. But before doing this, make sure your device is charged and connect to network. Go to Settings, General, Software Update. If there's new software version available, tap Software Update to download and install it. After updating, restart both iPhone and computer to restore again. Quit iTunes and remove any iOS devices attached to your computer, go to C:\ProgramData\Apple\Lockdown on Windows computer. Select all the files in the Lockdown folder and delete them. If you get the error message that "iTunes could not restore the iPhone because the backup was corrupt or not compatible the iPhone that is being restored", follow steps below to delete corrupt or incompatible backup. Step 1: Find iTunes backup location on your computer, copy the backup folder to the desktop. Step 2: Run iTunes and click "Edit" on the menu bar, choose "Preference". If you are using Mac, click iTunes from the menu and choose "Preference". Step 3: Click on "Devices" option in the preferences and then select all backups, click "Delete Backup" to move out all of them. Step 4: Copy iTunes backup folders from desktop and move them to the original folder. Restart iTunes and restore again. If you have the backup locked or iTunes asked for password but you don't remember, try iPhone Backup Unlocker to crack the password and then restore from the backup file. Step 1: Run Tenorshare 4uKey - iTunes Backup on your computer. Click "Add" and then double click on the file you lost password from the drop-down box. Step 2: Select an attack type from Brute-force Attack, Brute-force with Mask Attack, Dictionary Attack. Step 3: Click "Start" to start recovering the password, your backup password will be listed in the File Opening Password box within several minutes. Step 1: Open UltData and click on Restore from iTunes Backup File at the top. Select an iTunes backup and click on Start Scan. Step 2:	Let the software scan your backup. Then, select the data you want to recover and click on Recover. iTunes is a convenient tool to backup and restore iPhone but sometimes it does have problems and errors. A free iTunes alternative like iCareFone can offer you full backup and restore feature to iPhone. Flexible backup and restore t data without erasing all settings and content. 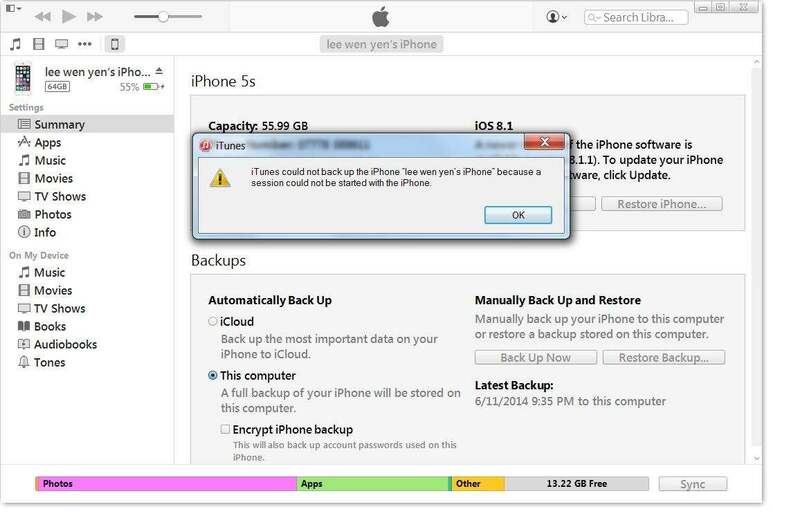 Restoring your iPhone/iPad/iPod touch from different backup files. Up to 20+ files supported, including WhatsApp, Contacts, Photos, Music, Messages and more. It is completely compatible with iPhone XS/XS Max/XR/X, iPhone 8/7/6s running iOS 12, iOS 11 and lower. By far, we have shown four detailed situations about "iTunes could not restore iPhone" problem and possible solutions. If you have other questions over this issue, leave us a message in the comment part, we'll reply you as soon as possible.